Just sitting down and actually planning the perfect event involves having the best transport service as well. Limos have been known to not only complement one’s event but also compliment the individual as well. Choosing the best limo service is also a key factor to consider while picking a limo. In the town of Crawley, the best limo hire company to work with is Star Limousines. The company is able to provide quality services while at the same time clearly know how to treat its customers. The limos are cleaned as well as checked on a daily basis. In addition, every month, the cars undergo a proper service checkup in order to ensure that the mechanical integrity of the car is always at its best. When it comes to quality of the car and service, the company offers nothing but the best. It is able to get to its client on time as well as safely and comfortable to their venue. All the chauffeurs are licensed limo drivers, courteous and professional. The thirteen-seater Ford Excursion is often mistaken for a Hummer H2. It comes with various features such as a CD player, 1.5KW sound system, 3x flat screen televisions, champagne wells and glasses, full fibre optics in the ceiling and bar, as well as a fully stocked bar which is free of charge. Also known as the famous “Baby Bentley Limo”, the Chrysler 300C is actually the newest stretch limo that has arrived in the UK. Its general features include a very lavish interior and is fitted with 2x LCD hidden stereo and TV’s, an LED and colour–selectable stainless panels with a beautiful starlight ceiling, as well as a 2 x mini cocktail bars of which one has been fitted with fibre optics. 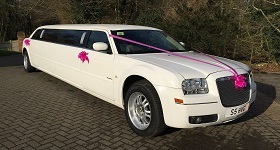 In conclusion, looking for the best Limo in the town of Crawley should never be a problem as one can easily visit www.starlimousines.co.ke for more information. In addition, you can easily contact the company on 0800 1691831 or 01435 813494.